Every few weeks, your elected student government meets on a Wednesday night to talk about issues concerning the AMS. Agenda items can seem long, mysterious and confusing without the proper background, making it difficult to see how these issues affect students. Here’s what to watch out for in the upcoming AMS Council meeting on September 14, 2016. The Governance Review Implementation Committee is bringing forward a new committee structure for Council to start using this term. This is one of many big changes coming to AMS Council that's been inspired by the recent governance review. The structure combines many existing committees and eliminates some with the goal of creating a more efficient, cohesive structure. In this system, a Steering Committee will guide and review all other committees, and recommend long-term plans for the AMS. 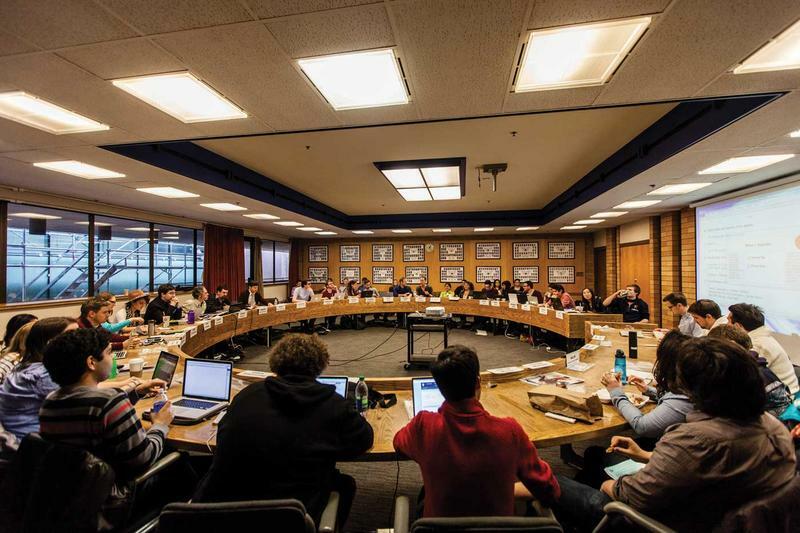 The other standing committees will be chaired by executives rather than councilors, and focus on advocacy, human resources, finance, operations, student life and governance. With the start of the new school year comes another set of AMS Council committee appointments. The new committee structure presents a great opportunity to have long-lasting and important influence on the AMS as the first task for all committees will be creating their terms of reference. Committees are made up of executives, councilors and members at large who are not involved with the AMS in other ways. A member at large position is a great way to have your voice heard and learn more about the AMS. If you’re interested in joining a committee, check out this page for the sign-up and come to Council on Wednesday at 6 p.m. in the Michael Kingsmill Forum! Ian Sapollnik is a third-year economics student, a member of the UBC Vancouver Senate and a member of AMS Council. The views presented are his own.